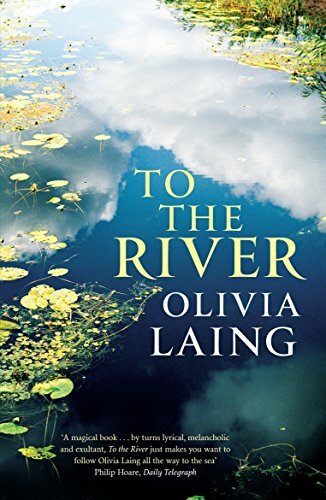 This entry was posted in Books and tagged nature writing, Olivia Laing, River Ouse, Sussex, To the River, Virginia Woolf by Katrina. Bookmark the permalink. Katrina, I am stunned. A couple in love who had to break up because they could not bear to live outside their own counties. Actually, I find that fascinating, in a way. How PLACE can so dominate a person’s being and worldview and everything, I guess. I think I almost understand, BUT if I were madly in love with someone, I’d somehow or other contrive a way, really I would. I’ll spend three alternating months in my county, and the rest with you. Or something! The thing is I can almost understand this, and I think Ken could, too. It would be so much more sensible for us to move south, to one of the cities an hour or two to the south, or to one of its suburbs, but we both can’t face leaving our little piece of heaven. We talk about it, we occasionally look at houses, we see how sensible it might be, how sensible it might be, but we just can’t go there. An interesting review of this book. I am indeed curious about it. I suspect that Matthew just wasn’t that into Olivia otherwise he would surely have compromised somehow. But the same could be said for her. Some southerners just can’t stand the thought of ‘the north’. Maybe the thought of the harsher weather put her off! Yorkshire and Sussex are both lovely counties but very different from each other. Maybe you’ll find another slice of heaven somewhere else, when you feel that living where you are is just a wee bit too remote – when you’re older!